Earn 900 Cute Points upon purchasing this product. Did you know that Daisy is the Flower of April? The daisy conveys innocence, loyal love, and purity. If you were given a Daisy flower by a friend, they told you they’d keep your secret as the Daisy means “I’ll never tell.” Sssshhhh…. ? A pair of solid sterling silver daisy post earrings that would look great on most face shapes due to its elongated design… These earrings move with you kinda like a pendulum. They hang at a comfortable weight. 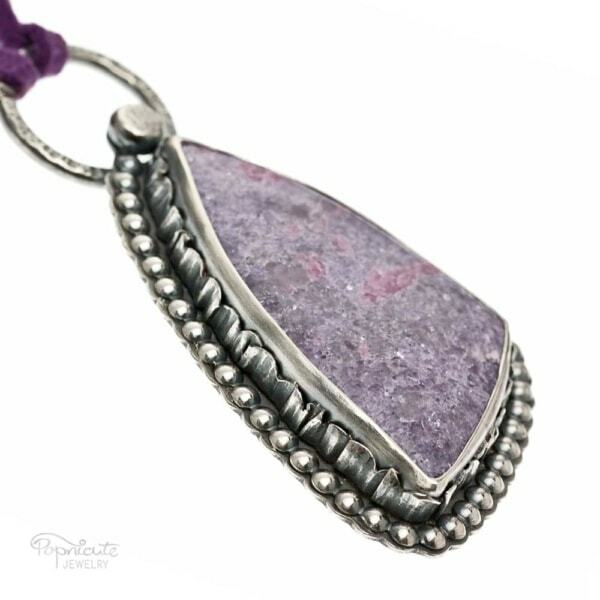 Will look exceptional on a short haired girl or with an updo. The Mini Ruffles collection would make a great companion on any occasion, whether it’s your wedding day or just to spice up your regular days at the office. 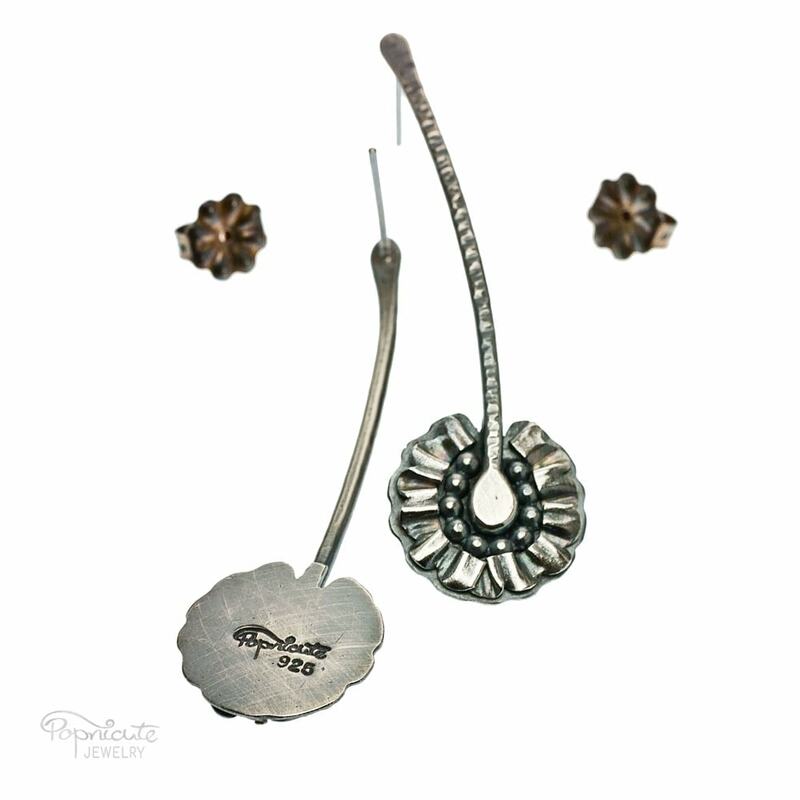 DAISY FOCAL: 15 mm W x 15 mm H.
LENGTH: 50 mm (2 inches) long with the stem. 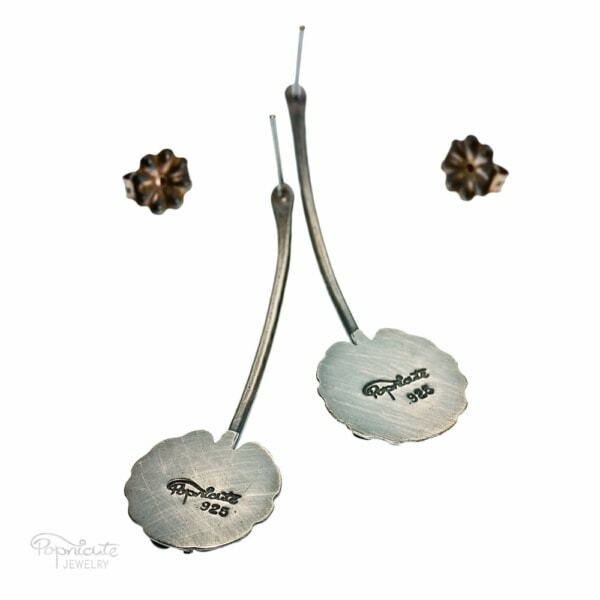 * You will receive a similar pair of sterling silver daisy earrings. Made to order. 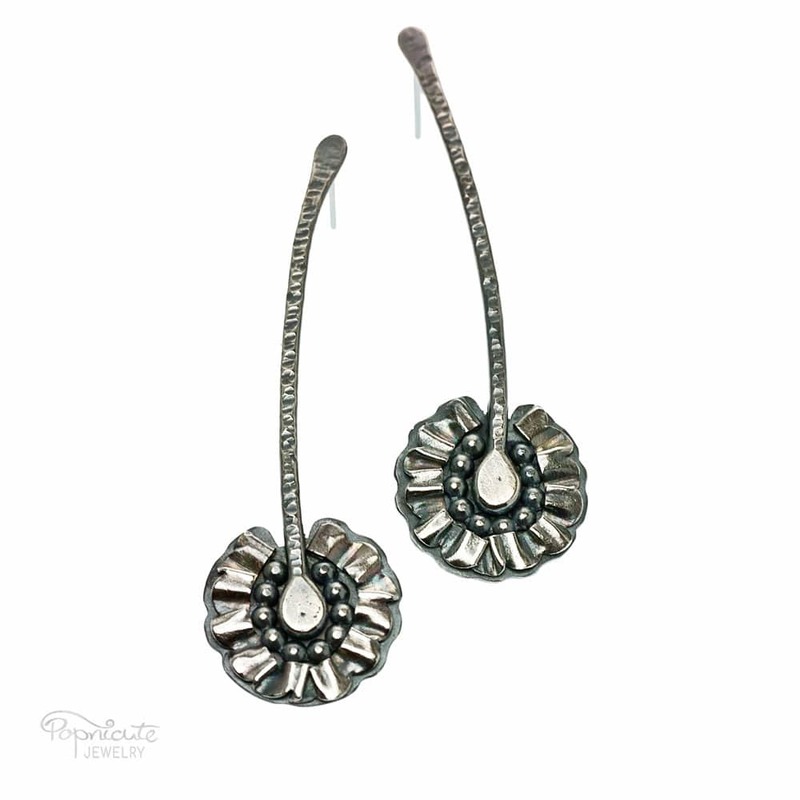 A pair of solid sterling silver daisy earrings in a ruffle design. These daisy post earrings would look great on most face shapes due to its elongated design. 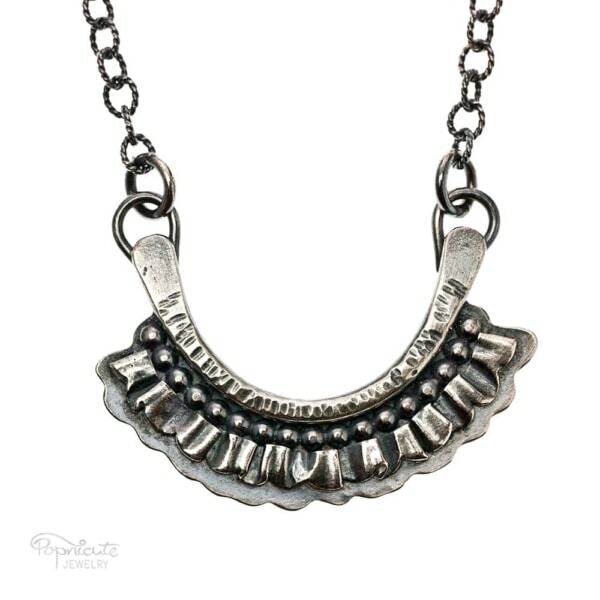 This is a great pair of keepsake jewelry that can be worn over and over again no matter what occasion, from a casual Friday at the office to weddings. Make your gift counts! The Mini Ruffles collection would make a great companion on your wedding day, whether it’s for you, the bride, or for your bridesmaids and maid of honor. Evidently, not everybody wants sparkles or gold on their wedding day. 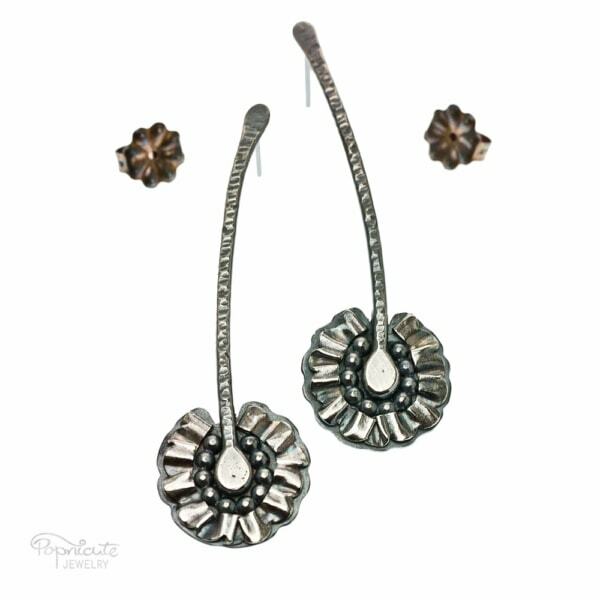 This pair of sterling silver daisy post earrings would make a great accessory for a casual wedding set up like pool wedding, garden wedding, or a court wedding. Inspired by the up and coming trend: Ruffles! “Frilly Daisy” sterling silver daisy earrings are a part of my Mini Ruffles collection which was created with alternative brides in mind… For you who appreciates the timeless beauty that can be worn over and over again without losing its meaning. To create these daisy earrings, I used a mix of Argentium silver, regular sterling silver, and fine silver to create the focal from scratch. The ruffle design is one of Popnicute’s signature design. The Argentium silver posts are made of 20 gauge wire. Would fit standard piercing. 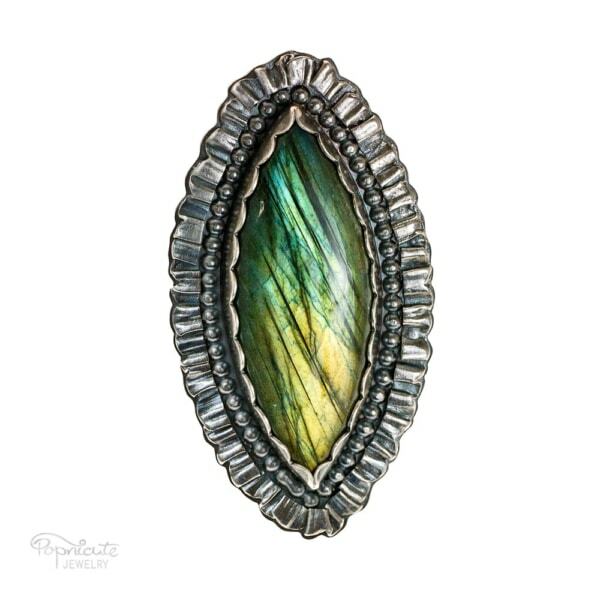 Care instruction for your art jewelry. 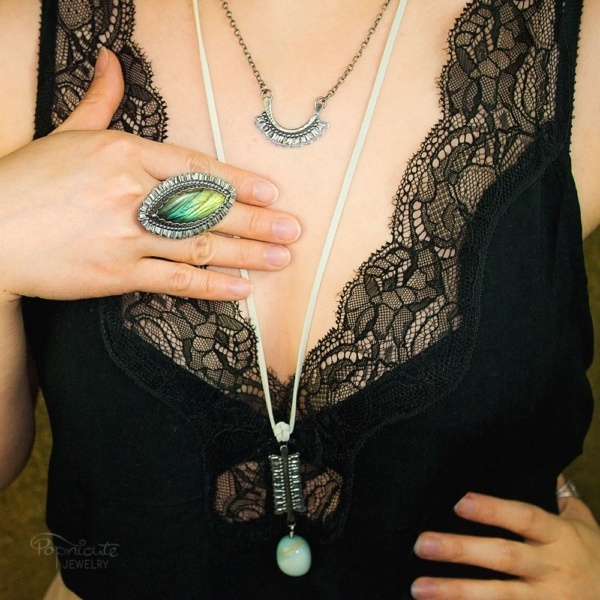 Original wearable art design by Popnicute Jewelry. Handmade in the USA. Need something new? Custom orders are gladly accepted! Work with me.